Disney closed the video game studio LucasArts on Wed., April 4. In one sweep, the parent company of Mickey Mouse acquired LucasArts, Lucasfilm, Industrial Lights & Magic and Skywalker Sound for around four billion dollars in Oct. 2012. Since then, the future of the Star Wars franchise has been uncertain and subject to rumors and wild speculation. After the announcement of a slew of new Star Wars films, the dismantling of LucasArts is the first major change to the galaxy that suddenly does not seem so far, far away. LucasArts had been suffering from a critical and commercial slump in the last few years. The last game they released was Kinect Star Wars, which was not well received by critics and fans alike. 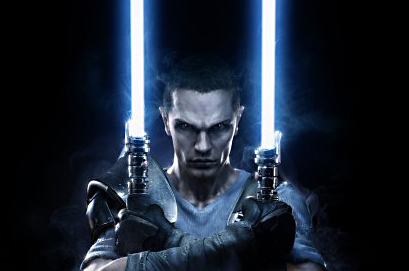 Their last major hits have been the Star Wars: Force Unleashed series of two games. The second game of these was released in 2010. Since then, the studio has had difficulty finding success or raising excitement for a game. That is, until the recently announced Star Wars 1313 first appeared at the Electronic Entertainment Expo (E3) of 2012. But hype for 1313 died away in the following months amidst the inner turmoil riddling LucasArts. The purchase of the studio as part of the Disney deal did nothing to assuage the minds of fans, especially since no substantial information regarding the games in development, Star Wars 1313 and Star Wars: First Assault, had been forthcoming since the acquisition. These two games may not be entirely lost, however. The official statement sent to GameInformer says, “After evaluating our position in the games market, we’ve decided to shift LucasArts from an internal development to a licensing model, minimizing the company’s risk while achieving a broader portfolio of quality Star Wars games.” So it is still possible that another development studio can attain the licenses for and create these two games. The odds of this are slim considering how little was known about the two games and the teams behind them have been dispersed. The video game website Kotaku claims an anonymous insider source informed them that some 150 people lost their jobs in the studios closure. The same source also posited how unlikely it would be for a studio to pick up the licenses. While this does not mean that there will never be another Star Wars video game again, this closure cancels the only two planned. So as of now, there are no announced, major Star Wars games in development. Ironically, most of LucasArts well-known and beloved games did not involve the Star Wars universe. In the ‘90s, the company produced classic adventure games such as The Secret of Monkey Island, Grim Fandango and Day of the Tentacle. Not to say the studio did not also create quality Star Wars games as well. Anyone who played a game from the Battlefront or Rogue Squadron series can attest to that. While it has not been the first studio untimely dissolved, LucasArts is one of the more iconic and long-lasting video game developers to see the glimmer of the plummeting guillotine. The economy and the video game industry as a whole has not been kind to the dedicated artists behind and in the code. The greatest injustice is to the many who lost their jobs, who had already committed much of their precious time and energy into two projects which have effectively ended. And one of those projects, Star Wars 1313, had a fair amount of hype surrounding it. The video game industry is infamously difficult to break into, and this closure eliminated well over one hundred jobs. This forces veterans to seek new positions and compete with newcomers, the latter of which now stand even less of a chance. May the Force be with those who lost their jobs.